The Creative Self engages with the work of the psychoanalyst D.W. Winnicott to develop alternative ways of thinking about key issues at the heart of pedagogy; specifically pedagogic relationships, creativity, defiance and compliance. These issues underpin the desires and defences of professionals located in educational institutions, such as the desire to know what is best, to know how to reach all learners, normalised expectations of behaviours and outcomes, and sometimes challenging engagements with students and the curriculum. Each chapter provides both a theoretical focus and illustrative demonstrations of the ways in which Winnicott’s theories may be relocated and used productively as tools for professional and academic reflexivity. By building extensively on Winnicott’s understanding of the ways in which relationships facilitate (or hinder) the development of the self, this book extends his clinical focus on parental and analytical relationships to think about the ways in which the pedagogic relationship can provide an environment in which people may (or may fail to) develop as learners. This approach provides powerful ways of thinking about pedagogy and pedagogic relationships that stand apart from the cognitive and rationalist tradition. This focus can be used constructively to support people working in educational settings to re-establish a sense of personal and professional autonomy in an environment recently typified by compliance. 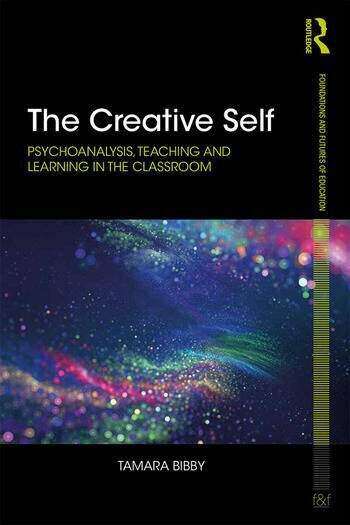 The Creative Self is an engaging and innovative read appealing to postgraduate students, teachers, researchers and academics with a desire for a new analytic lens through which to explore the educational experiences of both learners and teachers in schools, colleges and universities. 8. Defiance: insult or sign of hope? Tamara Bibby is an independent researcher and writer, previously at University College London, Institute of Education, UK. The Creative Self is a novel contribution to the contemporary field of psychoanalysis and education. With narrative flair, wit and a wonderfully engaging style for examining the promise and perils of the designs of the creative self, Tamara Bibby invites readers to take Winnicott to school. Imagine then, how our earliest emotional ties to the mother’s care have a second chance in pedagogical relationships. Bibby’s insightful analysis gives us the spirited thinking that, after all, with the provisions of pedagogy as creative relations, and with dedication to the ins and outs of well being, education, too, can become "good enough." Deborah Britzman, Distinguished Research Professor, York University Toronto, Canada. Bibby is a teacher and educationalist who comes as a breath of fresh air. In an environment where the politicisation and commodification of education threatens to undermine the core role of adults and institutions in providing the facilitating environment in which children can learn and mature, this is a thoughtful and thought-provoking book. Professor Adrian Sutton, Director, Squiggle Foundation http://squiggle-foundation.org/, Honorary Senior Teaching Fellow in Medical Education and Research Fellow, University of Manchester, UK and Visiting Professor of Psychiatry, Gulu University, Uganda.